Take a step back into the 1960s and relive the music, culture, and history with Rothenberger’s first full-length book, Scottsbluff in ’62. Scottsbluff in ’62 demonstrates how rock ‘n’ roll music helped to shape the popular culture of the 1960s, a volatile yet revolutionary period in U.S. history. Beginning in Scottsbluff, Nebraska, the cruisin’ capital of western Nebraska, the ‘60s music scene is quickly expanded to reflect rock ‘n’ roll on a regional and national basis with mentions of the Beatles on the Ed Sullivan Show and the Woodstock Music Festival. 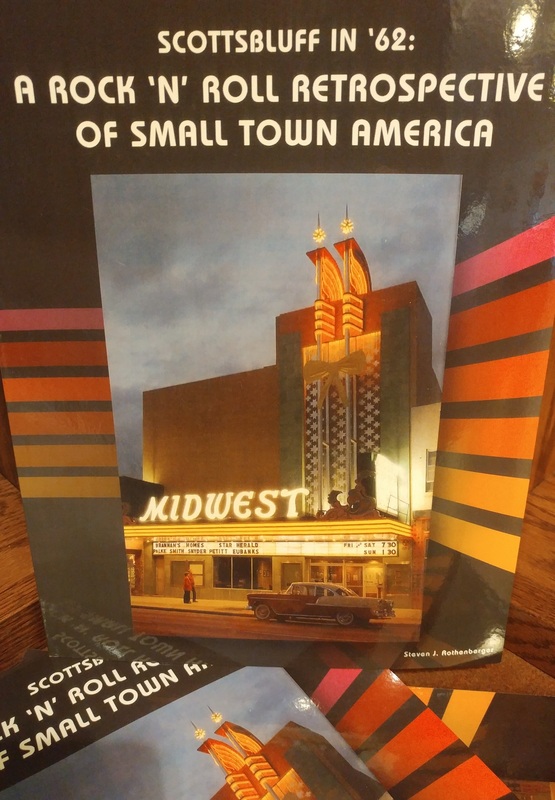 Illustrations include black and white photos of the early ‘60s bands and color posters of the popular show bands that toured the Midwest. Steven J. Rothenberger is professor emeritus of biology, University of Nebraska at Kearney and member of the Nebraska Rock ‘n’ Roll Hall of Fame. He was coeditor for the book, “A Presidential Visit” and senior editor and contributing author of, “A Prairie Mosaic: An Atlas of Central Nebraska’s Land, Culture, and Nature,” selected in 2001 as an award winning Notable Government Document by Library Journal. He has published more than 35 scientific papers for professional journals and has written popular articles for Nebraskaland, the Midland, the Platte Valley Review among others. Rothenberger also considers himself a student of the prairie and the popular culture of the Great Plains.